Wal-mart, Jewelry, and Vogue Magazine? I should blog this under a new category – " believe it or not!" But, according to National Jeweler, Wal-mart is teaming up with Vogue magazine, " an indication of the company's new effort to attract more upscale consumers in categories like clothing, electronics, bedding and jewelry." Vogue magazine is well-known for fashion, which of course, includes upscale as well as trendy jewelry designs, so it's kind of hard to imagine a Wal-mart ad between its pages. Give me the scoop then. 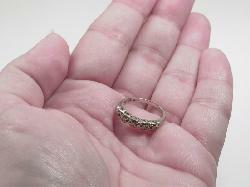 Have you ever bought any jewelry items from Wal-mart? A new season for NBC's hit TV show, Las Vegas, means new bobbles for its stars, including Lara Flynn Boyle and Cheryl Ladd. 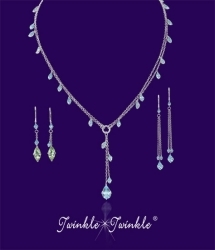 According to an in industry press release, both gals will be " twinkling" it up in jewelry from Jane Taylor's Twinkle-Twinkle collection in the season premier September 19th. I took a look through Jane Taylor's website, and I have to say, I think Lara and Cheryl should have pushed for Jane's Bohemia collection, lots more color, and I think it will show up better on camera. Just my 2-cents there, ladies, as I'm sure you'll fabulous anything in Jane throws on you. I don't know about you, but I can't wait to see the up coming movie The Chronicles of Narnia: The Lion, the Witch, and the Wardrobe. I remember reading this book when I was a child and just being enchanted with it. Jewelry lovers will be doubly interested in seeing this movie because of the cool jewelry collection designed around its theme by Bob Siemon – A total of 15 pieces will be part of this collection and available this September. So keep an eye out for the movie (coming this December) and the jewelry, available in the next few weeks. Actually, after looking at both the hard copy and Internet page, I recommend viewing them both. While the hard copy magazine offers a chance to relax and flip through pages full of exotic " out there" styles, the web site offers some interesting audio clips, slide shows, and articles. What do these three things have in common? One maid, named Lucyna Turyk-Wawrynowicz. According to her police statement, she's only stolen from past employers who " didn't treat [her] with respect." 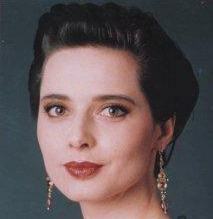 Isabella Rossellini did; Robert DeNiro's wife, according to Turyk-Wawrynowicz, didn't. So, she stole a $95,000 dollar pair of diamond earrings as well as a credit card, which she used on a shopping spree though Barneys. I wonder if she was wearing the earrings while she was shopping? Well, if Elizabeth Taylor and the Queen of England do it, then it must be good for you, or so says Niranjan Mehta of Ninegemstones.com, who claims that you can improve your health if you wear gemstones. 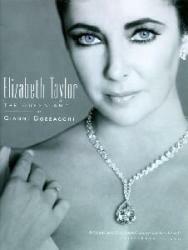 Both the Queen and Ms. Taylor wear their birthstones. Of course, Niranjan suggests that you have to wear the " right" gemstones in order to receive health benefits: " The nine recommended are ruby, pearl, coral, blue sapphire, yellow sapphire, diamond, emerald, hessonite, and cat's eye." Now, though I love stone related mythology, I can't even imagine how wearing any type of stone could be bad for you, but he does list a lot of my personal favorites. What about you? Do you wear any of these gemstones on a regular basis? The diamond engagement ring is a wedding icon, or at least, the folks at De Beers want us all to believe this. But believe it or not, the idea of the diamond engagement rings as a " must have" for every bride is not linked to any tradition as much as it's linked to savvy diamond dealers who know that to sell a product you need to market it just the right way. One example of this is the relatively new trend in China of future brides receiving diamond rings. Once thought only as belonging to drill bits or famous American movie stars, 15 years ago most Chinese never even considered the diamond as a wedding necessity. But, thanks to De Beers, "the Chinese diamond market has changed dramatically. In Shanghai and Beijing, eight out of 10 brides now receive a diamond ring, usually a solitaire in a claw setting. The wedding ring is a new cultural phenomenon in China but diamonds are also replacing more traditional jewellery in jade and gold. No other market has developed this quickly – it took 50 years for the US to get to this level and 20 years for Japan." (source: " Chinese Brides Are a Diamond Makers New Best Friend" Guardian Unlimited). I can't help but wonder what De Beers would do if they new my engagement rings is a ruby! Yo Mom! Win Some Pearl Jewelry! 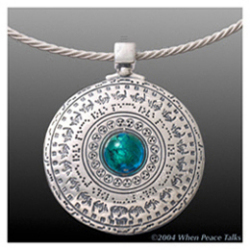 ModernMom.com has a super easy to enter jewelry drawing going on with a Deadline of August 30th fast approaching. If you live in the US, are at least 18 years of age (ugh, I more than qualify for that! ), and have an email address, then you're good to go. Find out the rest of the details including some gorgeous pictures of the prizes (7 in total, everything from dainty pearl drop earrings to classic pearl necklaces) at ModernMom.com.